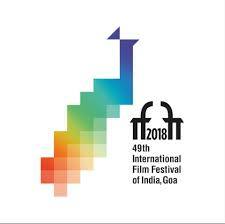 Panaji: 27 NOV 2018 … We are looking forward for more collaboration with India and the International Film Festival. We can study about the possible ways of collaboration and provide something more and new to our audience and critics, said Laura Delli Colli, Vice-President of Foundazione Cinema per Roma, the main organisation that conducts the Rome Film Festival. Laura was addressing a press conference at the 49th International Film Festival of India today November 27, 2018 in Panaji, Goa. Ms. Francesca Via, General Manager of Foundazione Cinema per Roma and Mr. Rakeysh Omprakash Mehra, eminent Indian director whose film Mere Pyaare Prime Minister(My Dear Prime Minister) was Euro-premiered at the Rome Film Festival in October this year, joined her at the press conference. Talking about Indian movies, Ms. Laura said that Indian movies have a very special place in world cinema and that the Indian film industry has much to discover in Italy. On the growing significance of the Rome Film Festival, which is entering its 13th edition next year, Ms. Laura said that the interest of audience and international media is increasing with the passage of each year. Ms. Laura added that Foundazione Cinema per Roma is going to celebrate maestro Federico Fellini’s birth centenary in 2020 and that all Italians are coming together to organize something big and special. “We love our big masters very much. Today we don’t have many masters remaining. A new generation is also growing up and it is important to have strong relationship with our roots. We have to think about new directors and talents and help them grow up to be new masters. It is not so easy to become a master,” she said. Giving her take on the relationship between critics and journalists, she said that nowadays critics are not getting much space in newspapers. Ms. Francesca Via, General Manager, Fondazione Cinema per Roma Foundation said that it is really important for Italy to make an engagement with the Indian Film Festival. “Rome Film Festival is supported by public and private institutions. We have a special section for the youth and films for student community. The public participation is going up by 2%-3 % every year. Asia and Asian films are really important for us,” she said. Detailing the pre-publicity work that goes into the organisation of the Rome Film Festival, Francesca said the preparations for promotion starts a full 4 months prior to the festival with a press conference in the month of June, It is followed by another press meet about the updated status in mid-September. In the first week of October just before the Festival starts, another press meet shares the details regarding films, master classes and conversation sessions with the public. Remembering Italian film-maker Bernardo Bertolucci, Rakeysh Omprakash Mehra said that master filmmakers like Federico Fellini, Bertolucci and Akira Kurosawa are his default masters from whom he discovered world cinema. Masters can never die as their works outlive them. He added that films are to be made for perpetuity and not for a weekend. It should go on for hundreds of years and should be a statement of that time, he said. Sharing his experience at the Rome Film Festival in October this year, Mr. Mehra said the festival is well-organized attracting huge crowds. People are aware of the screening schedules well in advance and do advance ticket-booking. Talking about the role of media, he said journalists form an important interface between films and the public. “In Europe especially in Italy, journalism played a very important role in constructing cinema and pointing it towards right directions. Journalism can turn a film into a movement”, he added. Replying to a question, he said that it is not difficult to make political films; it is about whether you want to do it or not. Social and political cinemas can come back again and again as a reminder and as a reflection, like a mirror of what is happening in society . Ms. Laura Delli Colli is the current Vice President of the Fondazione Cinema per Roma and she has been a member of the Board of Directors since 2015. She is a journalist and writer, author of many books devoted to cinema and its protagonists. She is the President of Sindacato Nazionale Giornalisti Cinematografici Italiani (SNGCI) – National Union of Italian Film Journalists. It is the official voice of the Italian film press that officially represents journalists, essayists and journalists working in newspapers, weeklies, newsmagazines, radio and TV, web pages, professionals and publicists. Ms. Francesca Via is the General Manager of the Fondazione Cinema per Roma which organizes the Rome Film Fest,. Francesca Via possesses a profound understanding of the inner workings of the structure of cinema and film festivals, and has vast experience as a cultural manager, initially as the Operations Manager of the Auditorium and later, advancing to the position of General Manager and Organizational Director of the Fondazione.